Thomas "Tom" Frank Filosi, 74, passed peacefully surrounded by his family on Saturday, April 6, 2019, at St. Vincent's Medical Center in Jacksonville. Left behind to cherish his memory and keep his vibrant spirit alive are his dedicated wife, Mariann; sons Tommy, Ronnie and Troy; daughter Melissa Filosi Minacci (David); grandchildren MT, Maddie, Logan, Mason, McKenley, Hendrick, Avery, Grant and Jayden, father-in-law, Henry Pulka, extended family members and many dear friends. Tom was predeceased in death by his parents, mother-in-law, Virgie Pulka, and granddaughter, Taylor. Born in Canonsburg, Pennslyvania, on March 21, 1945, he was the only child of Valentino and Albina (Blazic) Filosi. Tom grew up in Meadowlands, Pennsylvania, and joined the United States Marine Corps in 1963 upon graduating from Chartiers Houston High School. His enlistment in the Marines was the beginning of a long and distinguished military career. As a Marine, Tom served in Vietnam and was a member of the Special Forces. He earned an Honorable discharge in 1973, and soon after enlisted in the United States Navy. 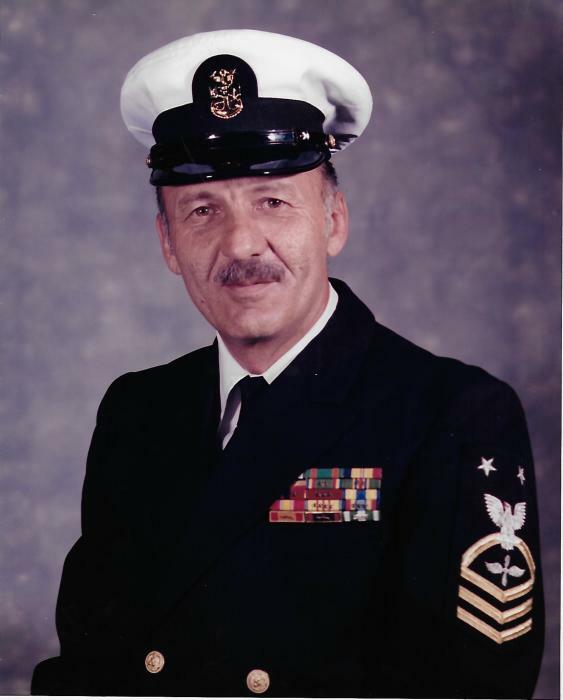 Much of Tom's Navy service included being the CAG Maintenance Master Chief. His Navy service also included deployment during Operation Desert Storm and the Gulf War. He served his country with unyielding courage and pride until his Honorable discharge (retirement) on October 1, 2000. Tom was a decorated serviceman who earned the Navy Expenditionary Medal, National Defense Service Medal, Vietnam Service Medal, Southwest Asia Service Medal, Humanitarian Service Medal, Republic of Vietnam Gallantry Cross Citation, Republic of Vietnam Campaign Medal, Navy Commendation Medal, Navy Achievement Medal, Meritorious Service Medal, Meritorious Unit Commendation, Presidential Unit Citation, Good Conduct Medals and others. Devoted to his family, Tom enjoyed spending his free time on a sports field with his four children, and later his grandchildren. He was active in the Baker County Little League volunteering his time as a coach for many years. An avid athlete in his youth, Tom reveled in sharing his love of baseball with the children of Baker County. He infamously taught many young pitchers a special kind of curve ball, which later became affectionately known as the "Pap Pap Curve" when he taught his oldest grandson how to pitch. In addition to his love of sports and baseball, Tom also shared his joy of hunting and fishing with his family. Tom was a member of several organizations including the Veterans of Foreign Wars Lodge 5968, Disabled American Veterans, National Rifle Association, Fleet Reserve, and American Legion. Though he will forever be missed, Tom will lovingly be remembered for his infectious laugh, story-telling abilities and unwavering love for his family. His greatest joy was spending time with his grandchildren who adored their "Pap Pap" as equally as he loved them. The Filosi Family will host a Celebration of Life for Tom on Wednesday, April 17, 2019, from 6:00 pm-8:00 pm at 383 West Macclenny Avenue (adjacent to Progressive Insurance.) He will be memorialized and laid to eternal rest with full military honors on Thursday, April 18, 2019, at 2:30 pm at the National Cemetery, 4083 Lannie Road, Jacksonville, Florida. For all friends and loved ones attending, please use "Lane 2" upon arrival at the cemetery. In lieu of flowers donations may be considered in Tom's memory to www.woundedwarriorsproject.org or www.dreamscometrue.org. It is with tremendous gratitude that the family wishes to thank the staff of Guerry Funeral Home for their compassion and care expressed during this time.